Preschoolers at the Luiz Saturninus School in Petrolina in the state of Pernambuco, Brazil were excited to harvest the first vegetables from their school garden last week. 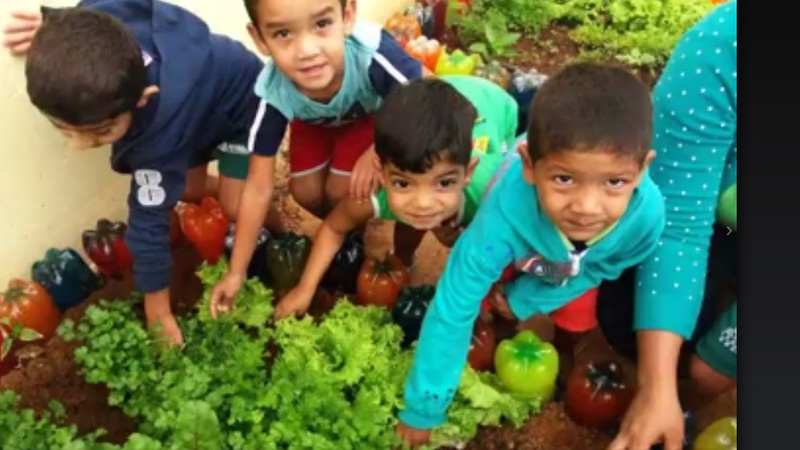 They are among some 33,000 children under age 5 who are participating in Crescer Saudável (Growing Healthy), a partnership between INMED, INMED Brasil, the Monsanto Fund and the municipality of Petrolina to improve nutrition and access to healthful food for mothers and young children. The program is establishing vegetable gardens at 125 preschools, as well as providing nutrition education for children and resources for mothers, teachers, food preparers and local health professionals to help encourage long-term, healthy eating habits—both in schools and at home. The program is expected to benefit more than 58,000 people in Petrolina. Learn more at http://inmed.org.br or follow @INMEDBrasil on Facebook.